Steph and I decided to have a picnic outside for lunch and it was lovely! 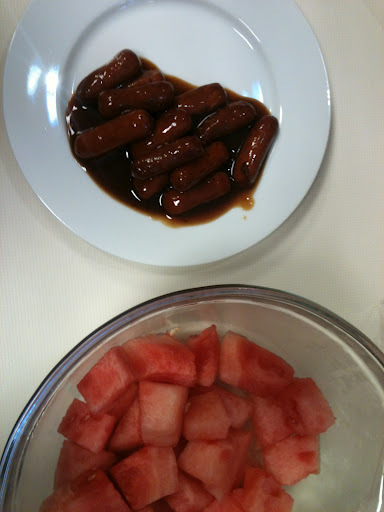 We enjoyed a crock pot of lil smokies and a bowl of watermelon together. Totally random and totally awesome.